Honey Bug Sweetheart magnetic pacifiers are the perfect size for the 18"+ inch reborn dolls. Sweetheart HoneyBug pacifiers measure 2 inches in width and 1.5 inches in height. Honey Bug magnetic pacifiers are specifically designed for multiple sizes of all Reborn Baby Dolls. There will be no more gluing or drilling. Just snap off the cap, insert your 8-9x3mm magnet, snap the cap back on and it's ready for your Reborn doll. 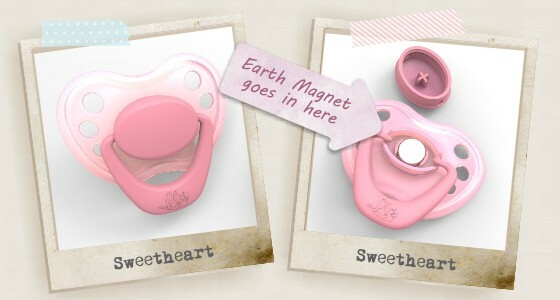 As our special gift to you, we will include 2 magnets with each pacifier purchased. As long as the size and style are the same, the colors are interchangeable. There are 24 colors to choose from with 6 bonus colors for the preemie sized dolls so you can customize your HoneyBug pacifiers to your liking. For a refreshing change in how your pacifier can look, check out the HoneyBug Sprinkles Stickers. Be sure to warn your customers that these magnets should not be placed anywhere near computers, digital cameras, other magnetic recording devices (VCRs, tapes, etc) and should also not be allowed near pacemaker patients. The magnets are not toys and are not safe for children. 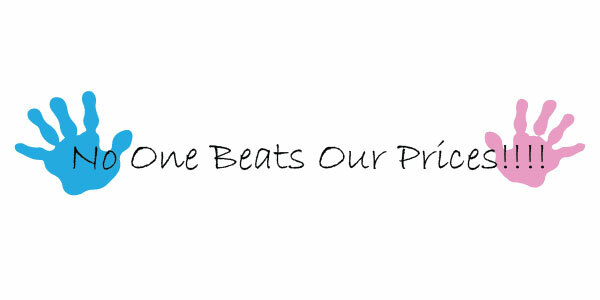 All of our products are stored in a smoke free, temperature controlled environment and will come in their original packaging direct from the manufacturer.